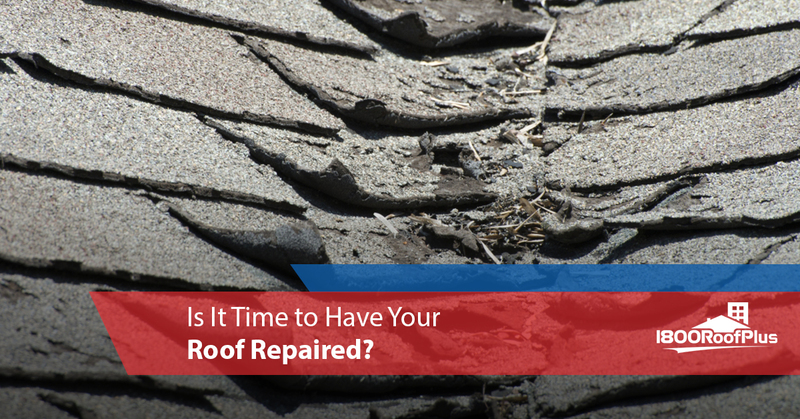 Is It Time to Have Your Roof Repaired? Winter is a popular time of the year to notice that your roof is having more issues than it’s had in the past. Although it might feel like Murphy’s Law is attacking you personally, the truth is that your roof may have been developing problems in the previous months, and it’s only become more apparent as wind and snow this winter have started taking a toll. The truth is that every roof is going to need some repair or maintenance at some point or another, and having a quality roof over your head is important. That’s why the team at 1800 Roof Plus is here to lend a helping hand. As the go-to roofing contractor in Point Pleasant, our goal is to help you identify potential issues with your roof. If you happen to notice these warning signs on your roof, we’ll be there to help. Keep reading to learn more. Are your asphalt shingles starting to curl upwards at the edges? As you probably know, shingles are supposed to lie flat to keep weather outside. Once they start to curl, it’s only a matter of time before rain and snow start to make their way inside. Although there are a number of things that can cause the shingles on your roof to curl, it’s always a sign that you should get in touch with a professional. Heavy wind is no joke, and when the wind starts to blow, your shingles are at risk. Unfortunately, when one shingle goes, the surrounding shingles become much more likely to go as well. Keeping holiday decorations is pretty common, and if you noticed light leaking in through the attic when you went to put away your Christmas tree, it’s a surefire sign that roof repair is in your near future. After all, if the light can get in, so can many other unwanted things like rain, snow, and even pests. Flashing is a protective watertight seal that surrounds roof items like chimneys, skylights, and vent pipes. It is also often found in roof valleys or where shingles change directions. Over time, flashing can wear out or become damaged, making your home vulnerable to water damage. If you see flashing that is peeling or lifting up, cracked, or missing, calling us is your best bet. Everyone knows the telltale signs of a leak, and if you start to notice stains on the walls or ceilings around your home, calling us should be a top priority. Although the warning signs may start off small, the longer you wait, the worse the issues can be. Similarly, if you notice that the paint is starting to peel around your home, this can also be a sign that your roof is in need of some attention. Is It Time to Call a Roofing Contractor? Regardless of your specific situation, if you have noticed one or more of the things above on your roof over the winter, the team at 1800 Roof Plus would love nothing more than to come out and take a look. Whatever the problem may be, we can offer solutions to help ensure that your home is well protected in the future. We pride ourselves on doing quality work for a fair price, so if you’re in need of a free roof analysis, contact us today to get the help you need.